I hope as a kid everyone remembers how unwrapping a box whether it was a present or a courier made your own mystery story with an ending that was certainly excellent. You can’t exactly guess what is inside, but you knew it was for you and something that makes you completely happy! The courier industry is an industry worth of gratitude. 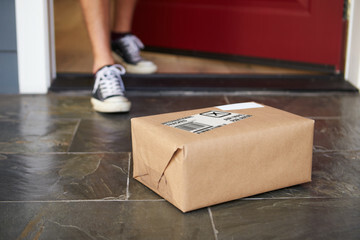 The delivery of a courier box is an appreciative attitude to merchants, suppliers, delivery people, and of course you! In this world where everything moves with high-speed we can totally rely on the courier service providers in order to make their package delivery as soon as possible in the right hands. But on the other side a weeping story is revealed where this leading industry in our economy leaves our very own environment in a deteriorated and sorry state! Though the packaging industry is being the center of attraction since decades but what about the stalking heaps of hard plastic used in packaging like ‘clam-shell’ cases and the plastic coated wire ties, the non biodegradable thermocol, polystyrene and bubble wraps filling the landfills? The time has come when courier delivery companies should wake up to the threats of the planet and play their part in wiping out white pollution with their courier boxes. Yes! We are here talking about reducing your carbon footprint to minimal and making a mark on the globe!! Certainly companies all around the world are coming up with the ideas about what new and innovative designs and materials for the courier boxes that tend to be more recyclable can be created. Various companies focus on designing courier boxes with the designers or carpenters recommendations that are fully made up of recyclable material and free from all the extra space and whistles of labels. And as we see that the online shopping grows at an exponential speed it is clear that more change and innovation- is coming. “People wanted us to care about these issues as much as they did” said Oliver Campbell, the global packaging innovation lead at Dell. The fact shows that these growing projects that include more than 1.3 million products over time has lead to the elimination of more than 55,0.00 tons of excess packaging just in 2016. Working with the waste management various companies have started building customized courier boxes for shipping their products, reducing their sizes up to 10%, has developed a cushioning of biodegradable material like bamboo, wheat straw, mushroom roots etc. Therefore, reaching towards the most effective sustainable packaging solutions with the help of these biodegradable courier boxes has a global scope. Courier boxes never grow old, they eventually take us to time when giving gifts was a thrill as it was receiving them as a child. They have the joy to make someone happy! Shouldn’t a courier that you sent to your loved ones should look beautiful when it comes right to your doorstep, though the product has to be protected but it does need to be as fancy, right? Taking care of such diversified customers and their needs various eco ventures in packaging startups like an ecological e-commerce company in India the ‘Greenhandle’ brings you all kind of courier boxes that you need in this big world of packaging. 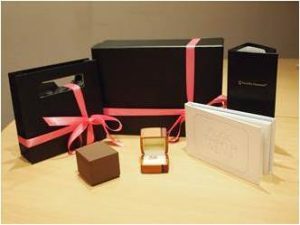 Customized boxes with corrugated paper boards for keeping all your fragile items safe from sharp edges, you can find a wide range of eco friendly beautiful courier boxes on this website. A famous courier company reveals the fact that “At DHL we call this GO GREEN. it is no more an hidden fact that environmental protection and business success are more than compatible, they are closely interlinked!” As these courier boxes have a ten times re-usability factor and the ‘Amazon Box Reuse’ initiative by Amazon and Give Back Box has made donating easier. ‘Open your courier box’ – unpack your merchandise from your shipping box – ‘pack your box’ with items you no longer need – print your shipping label – ‘send your box’ – bring smiles on the faces of the unprivileged ones! It is simple as that!! Thus the next time when you receive one such courier box be the customer that ultimately can determine whether biodegradable boxes and padding wind up being in a recycling stream or how you contributed towards saving mother earth from swallowing another giant heap of plastic waste! READ Customise Your Own Eco Friendly Box Bag! Previous articleThe Golden Fiber For A Clean Environment: Say Yes To Jute Pouches! Next articleThis Sweet Box Has A Delight For You, Me And Our Environment!